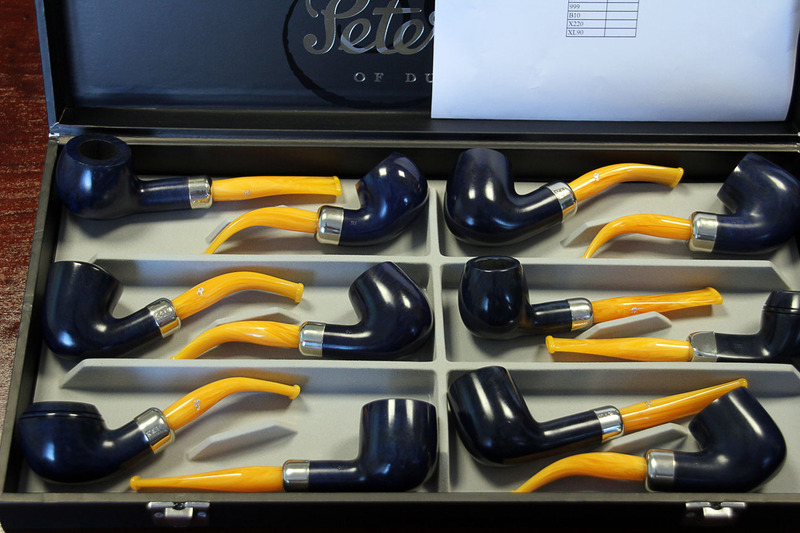 If you’re a Peterson fan you may already know about Pipe Divan, the online store for James Fox, the legendary Dublin tobacconist located at 119 Grafton Street in Dublin, who are celebrating their 135th anniversary this year. 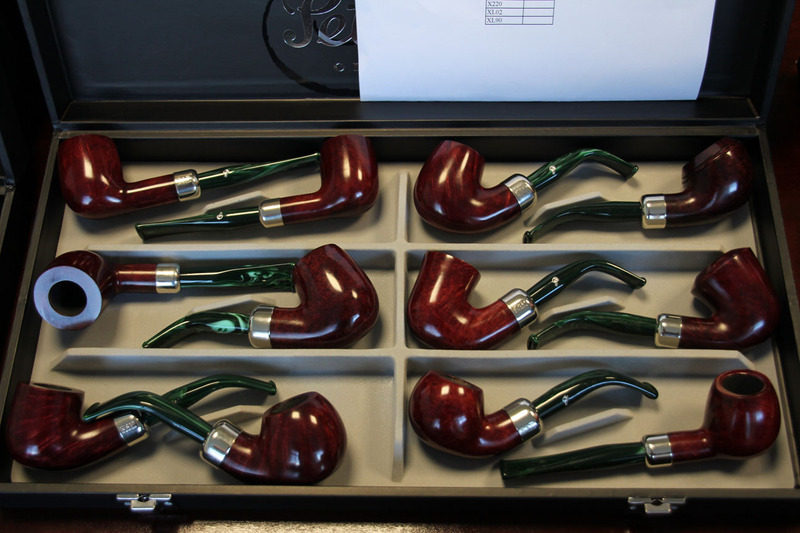 In doing some research for an upcoming blog, I got to chatting with James Fox’s Yiorgos Manesis, whose beautiful pipe photography you see on their site. One thing led to another as we swapped emails with the end result that Yiorgos offered to let me post photos of some of the 2016 new lines. Nope, they’re not out yet, but they’re on the way. These photos were taken back in January, and it’s interesting to see that the Champagne Spigot was originally dubbed the Caramel Spigot. Both names, by the way, are a departure from Peterson’s line naming practice, which in the past has usually used Irish towns, counties, rivers and even neighborhoods. The Derry is one of my favorite standard Peterson rustication patterns, and looks great with the stain, acrylic mouthpiece and nickel mount. Don’t look at that XL339 on the left side. I’m sure it’s got my name on it. I include two photos, not only because this is a really fantastic, extroverted example of the Army mount (think Chris Askwith pipes here), but because it was originally going to be called the Tipperary, as you can see. I think this may be my favorite of the 2016 finishes. The Champagne’s beautiful, but the orange really glows, don’t it? I’m sure Peterson doesn’t appreciate me renaming the 2016 Christmas pipe, but it is an Army mount, right? I’ve got a few Christmas Petes in the rack, but I can already hear the tiny bells of that X220 calling me. Hurry up, Santa! Now that Peterson is reinvigorating the Army lines, let’s hope they follow up next year with another sea change by refitting their tall ships—the System line! 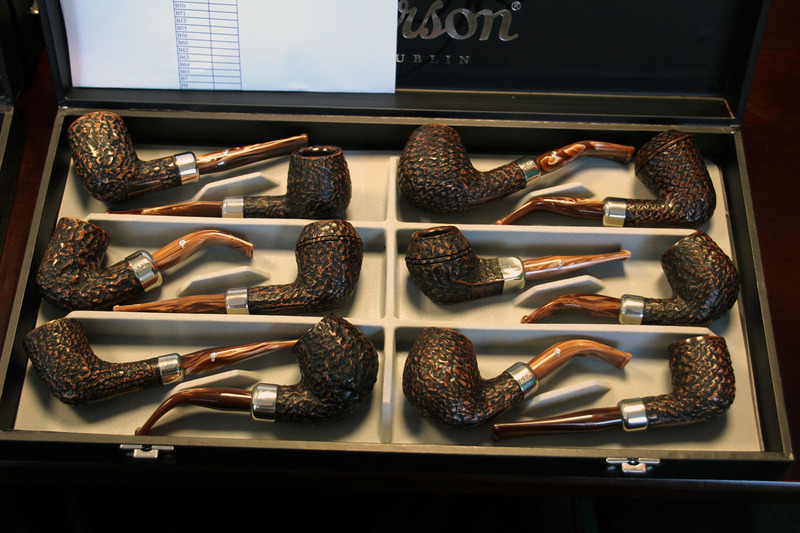 One last thing about Pipe Divan / James Fox – don’t go to Dublin without stopping in at their 119 Grafton Street shop after you’ve been to the Peterson shop on Nassau Street. 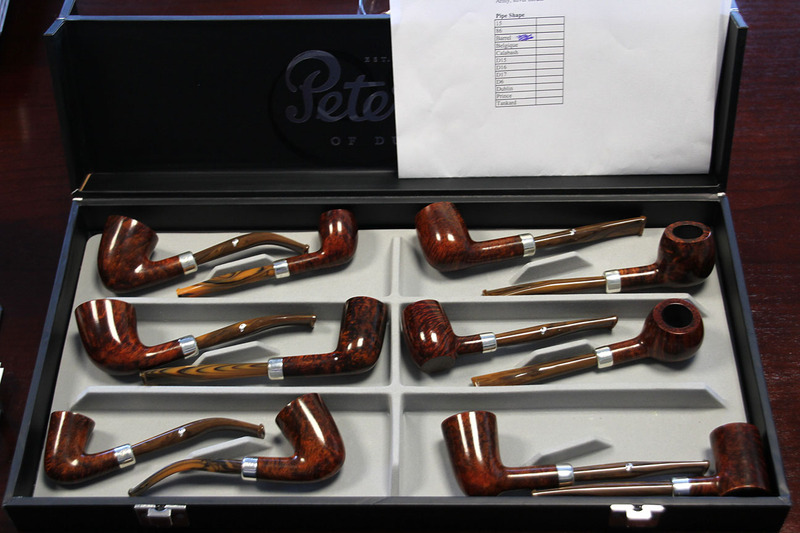 James Fox is important to Pete freeks* not only because they’ve been working with Peterson pipes for 135 years, but because when new lines come out, being in Dublin means they’ll have them in stock long before the Peterson pod crosses the pond. ‘Nuff said. *freek: unashamed of excessive enthusiasm or being perceived as being an outlier in a particular community.
. I remember seeing a photo of another line that was to be launched called “Kapp Brothers”. It had been a photo from one of the big pipe shows. No word on that one yet. That sounds really interesting! Do tell us!!! 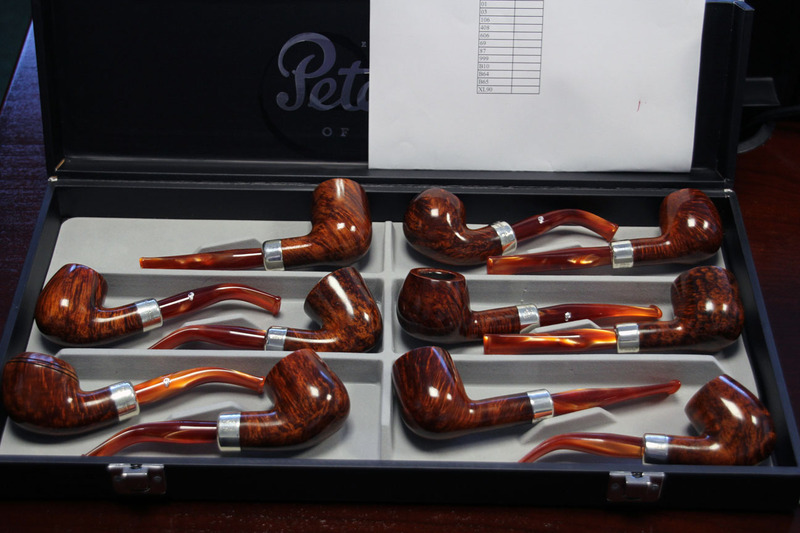 Where can i buy this beautifull new pipe line in Holland? 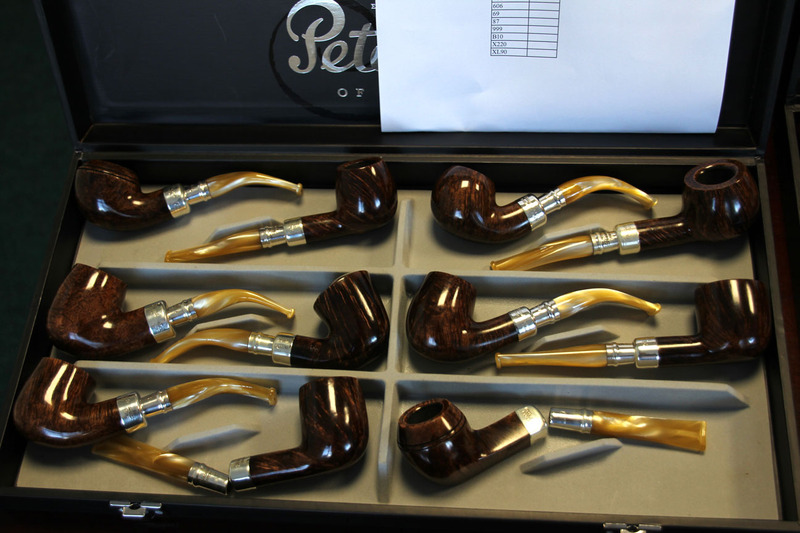 Check with your favorite Peterson tobacconists in Holland this summer. 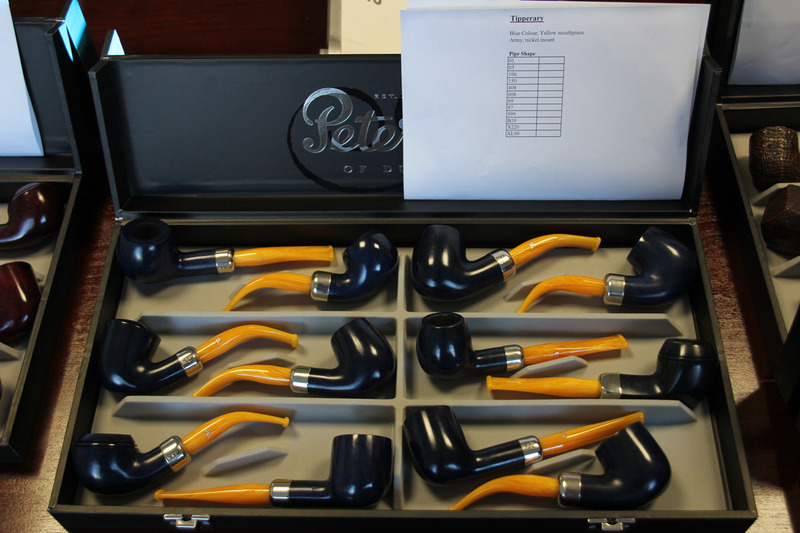 If the line and shape you want don’t materialize, try any of the Peterson e-tailers listed on my blogroll here at Peterson Pipe Notes. I’ve not seen one of these in person; however, the images on the internet seem to indicate an earlier and a later release. The original (which you can see if you search “caramel spigot” on my blog) is more salmon-colored. More recent sales look more yellow-tinted, as if Peterson changed rod colors. It’s not unusual for the company to make changes as they go. 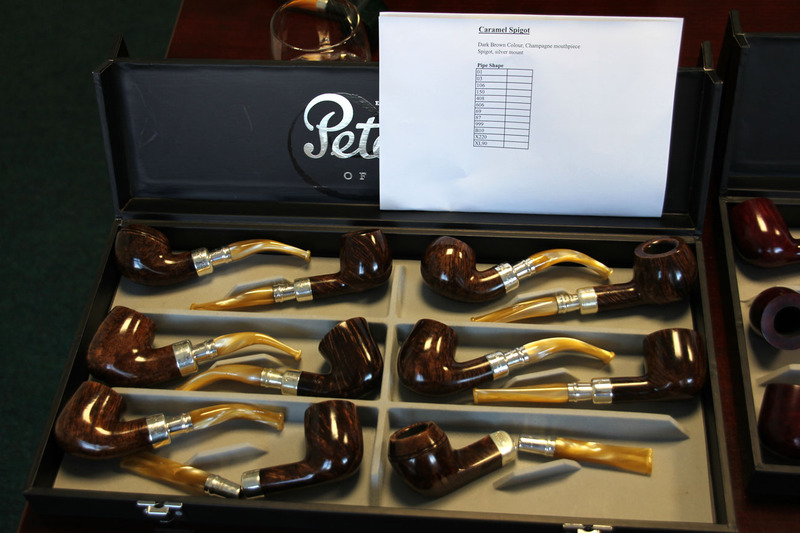 IF the pipe isn’t what you expected, of course (assuming you haven’t smoked it), send it back! Reputable etailers like Smokingpipes will help you on this. Call them on the phone.